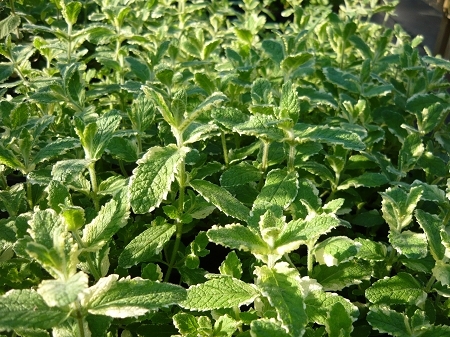 Pineapple Mint - Fruity scent and flavor. Oval leaves are variegated green and white. Trailing habit makes this an excellent variety in hanging baskets and containers. Culinary and tea herb. Does not always ship well during hot summer months. Perennial zones 6-9 Live starter plant in 3 inch container.